Since we’re called “End Blasphemy Laws”, let’s start with the good news: Can you guess which European country has – technically – just repealed its “blasphemy” law this week? Meanwhile in not-so-good news, a foiled gun attack in Texas; Egypt arrests children of Coptic background for blasphemy – after mocking ISIS of all things! 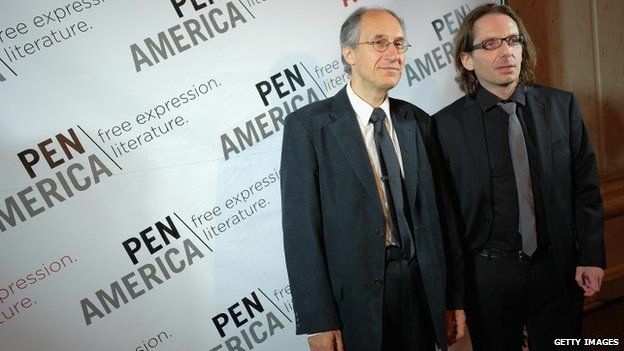 ; India convicts a hand-chopping blasphemy mob; Charlie Hebdo gets that award from PEN America! ; Pakistan issues a 25-year sentence for “desecrating sacred scriptures”; and the west continues to protest Raif Badawi’s sentence, but it’s not enough. Our fourteenth weekly round-up of “blasphemy” news and views starts right here. The other gunman — 34-year-old Nadir Soofi — was born in Dallas and died just a few miles from where he spent his first few years. But officials still don’t know why the men, who were roommates and business partners in Phoenix, drove from Arizona, carrying body armor and military-style assault weapons, to attack a contest for cartoons depicting the Muslim prophet Muhammad. A security guard was wounded before the gunmen were killed by police. The danger in such a difficult situation is that speech and expression become a power struggle, in which one side attempts to curtail freedom by intimidation or worse. That must be opposed, and that is why the award to Charlie Hebdo is justified. It is a statement of principle that needed to be made and it is right that it has been made. As is our wont, we try to publish the representational subjects of anti-blasphemy laws and violence. 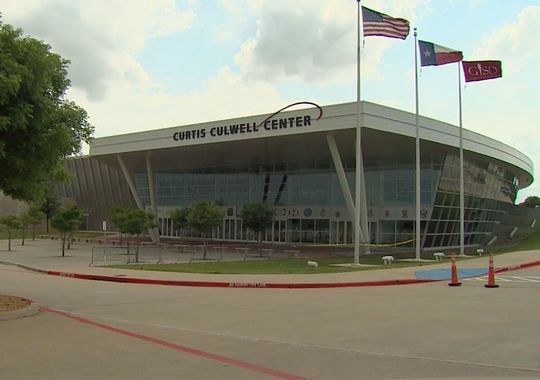 In this case, the attackers probably could not have seen all the cartoons exhibited at the Garland event, to which they did not gain access, prior to getting themselves killed. Nevertheless, here was the winning entry by Bosch Fawstin. During the hearing of the case, Police produced Zulfiqar before Additional District and Sessions judge Jazib Saeed. The court heard statements from witnesses and lawyers’ claims and found the prisoner guilty of disrespecting sacred scriptures. The court charged Zulfiqar with blasphemy and awarded 25 years rigorous imprisonment to the convicted prisoner. The court also ordered to seize all movable and immovable assets of Zulfiqar. A case had been registered against him by Race Course station police in 2006. We’ll try to find more detail on this case going forward. In Egypt five children have been arrested for “blasphemy” reportedly for appearing in a video in which they were accused mocking the militant Islamist group ISIS! 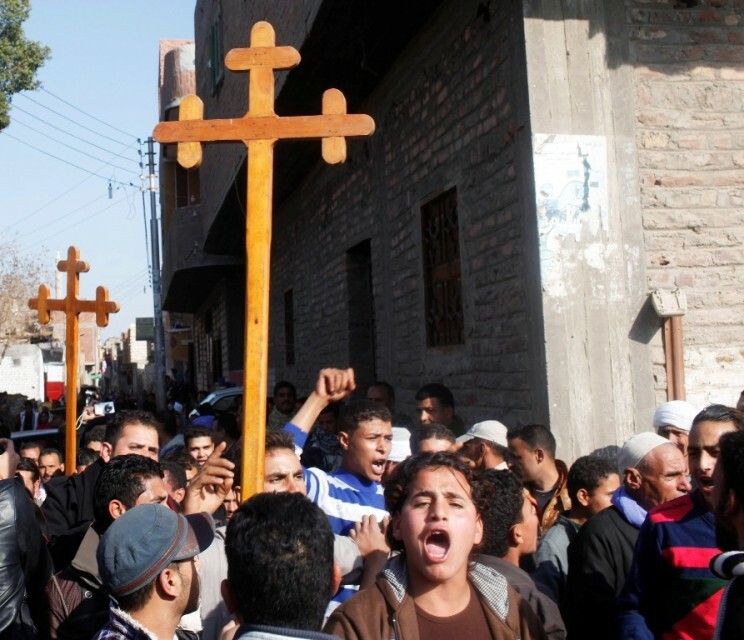 A recent incident saw Muslim mobs in the Minya village of Nasreya descend on the homes of five Coptic students, chanting they had “insulted” Islam in a video that was circulating showing the youths praying with their Coptic teacher. In fact, the students had been making fun of ISIS, according to Coptic activists. While police arrested the teacher and detained him for questioning over four days, the Muslim mobs threw rocks at the homes of the youths in a bid to force their parents to hand their children over to the authorities, Coptic media reports say. As the teacher was arrested and questioned by police over a four-day period, the mobs threw rocks at the homes of the students and demanded that their parents turn over the children to the local policing authority. Mina Thabet, a Coptic activist, said that the children and teacher still remain in police detention, as well as other Christians who been victimized by Muslim attacks and accusations. Todd Daniels, the Middle East regional manager for International Christian Concern, told The Christian Post on Wednesday that due to the corrupt nature of Egypt’s judicial system, the children could be sentenced to overly-long prison sentences. With Saudi Arabia an ally in the fight against Isis, a valued purchaser of arms and vendor of oil, neither Britain nor America has applied much pressure in Mr Badawi’s case. Amnesty International claims the British ambassador has not followed up on it, and in January Chris Grayling’s Ministry of Justice was revealed to be offering commercial services to the Saudi justice system – the very same that keeps Mr Badawi in prison, besides beheading dozens of inmates per year. This is beyond the pale. 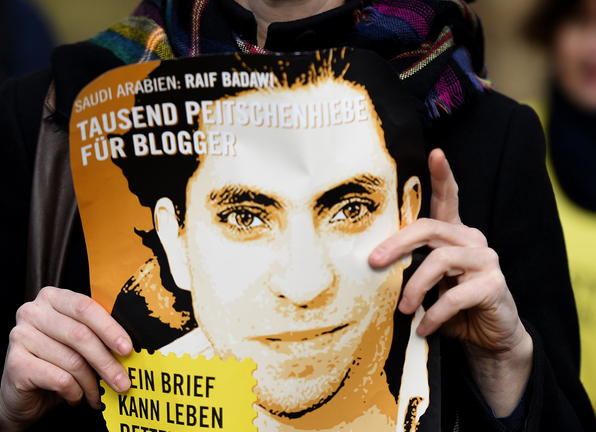 If the West cannot find its voice in support of Mr Badawi, it will have prized an alliance with a regime in part responsible for the spread of jihadism over the plight of peaceful, liberal activists. In both moral and political terms, that calculation is profoundly incorrect. The blasphemy laws “target members of religious minority communities and dissenting Muslims”, the report added. However, concerns have been raised about the report’s selective reading by the US government, in particular with reference to ally Egypt. Congress is giving short shrift to a federal commission’s conclusion that religious freedom in Egypt remains in jeopardy one year after Abdel Fattah al-Sisi won the presidency. The US Commission on International Religious Freedom for the fifth year in a row is recommending that the State Department categorize Egypt as a “country of particular concern” subject to sanctions. The Obama administration has repeatedly ignored that advice, and even those lawmakers most invested in the issue of religious freedom hope to keep it that way. In 2010 a Malayalam professor in Kerala, India, Prof. T J Joseph, had his right hand chopped off by a gang of fundamentalists who accused him of “blasphemy”. Five years later, 13 men have been convicted of the attack. Their complaint was that the professor had prepared “a controversial question paper, deemed as blaspheming Prophet Mohammed.” His wife subsequently committed suicide, last year. The incident that led to the professor losing his palm happened on July 4, 2010 when seven men who are believed to be members of Popular Front of India (a Kerala Muslim outfit), stopped the professor who was returning home along with his mother and sister from a local church. The men attacked using sharp weapons, which led to the professor and his sister getting badly wounded. The professor’s right hand was cut off during the attack and was later surgically restored. … The convicted will have to face jail term under UAPA provision in addition to other terms under various charges under IPC. The other charges under which the court found them guilty include unlawful assembly, rioting with deadly weapons, wrongful restraint, causing grievous hurt using dangerous weapons, criminal intimidation, promoting religious enmity and attempted murder. PEN president Andrew Solomon said: “The defence of people murdered for their exercise of free speech is at the heart of what PEN stands for. Charlie Hebdo’s editor in chief, Gerard Biard and Jean-Baptiste Thoret, a film critic who arrived late for work on the day of the attack, were at the gala to accept the award. Though both Charlie Hebdo and the Texas “draw the prophet” event have been described by their critics as inflammatory or even bigoted, there seems to be a strong consensus in the US and international media of significant distinction in their approach. Mr Thoret [Charlie‘s editor in chief] has rejected any comparison between the Paris and Dallas attacks. “To be honest, I can imagine the kind of comparison you can make between the Charlie Hebdo attack of January 7 and this event, but there is nothing. There is no comparison, absolutely no comparison,” he told PBS’s Charlie Rose. The film critic added that the attack in Texas was part on an “anti-Islamic movement” in the US. Inside the magazine, journalist Philippe Lançon wrote that the protests from literary figures were surprising and reflected a misinformed view of Charlie Hebdo. And it sparked “more debate” as the New York Times put it. The debate is emotional and complex. 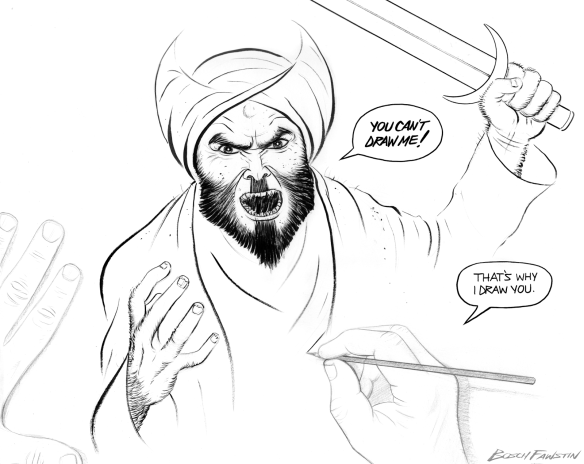 But the battle lines are generally drawn between those who believe that PEN’s core mission includes celebrating Charlie Hebdo’s courageous perseverance after the Jan. 7 attack on its office by Muslim extremists that left 12 people dead and those who believe that the magazine’s cartoons of the Prophet Muhammad promote bigotry and reinforce the second-class status of a Muslim underclass in France. There has also been debate about the debate, with some seeing an example of fractious freedom of expression in action while others see a spectacle that has generated more heat than light. “With this boycott the Charlie Hebdo debate has come to embody all the limitations, and now the futility, of the freedom of expression argument vis-à-vis Muslims in particular and minorities in general,” Nesrine Malik, a Sudanese-born, London-based commentator, wrote in The Guardian. “We are trapped between people who see a knowing establishment prejudice against Muslims (and other ethnic or racial minorities) everywhere, and those who refuse to believe it exists,” she wrote. As for the claim of satire’s effects, how do the signatories of the letter know what they are or have been or will be? The literature on “mass communications effects” is vast, tangled, and contradictory. There are short-term effects, mid-term effects, and long-term effects. The publication of the Pentagon Papers affected Daniel Ellsberg, who released them to the Times and other papers, in one way, and Richard Nixon in another way. There are different effects on different folks. In the eighth century CE, Byzantine Christians practiced iconoclasm. Christians got over it. Perhaps Muslims will do the equivalent some day, and thank Charlie Hebdo. But for now, offensiveness is Charlie Hebdo’s métier. The magazine has long been savage and impious, in the Rabelaisian tradition. Sometimes it is, to my taste, puerile. Sometimes it makes me queasy. So what? Satirical magazines aren’t tranquillizers. The magazine scathes dogmatists and haters. Some French speakers tell us that the charge of racism misreads cartoons that are, in fact, intended to mock racists. Norway has scrapped its longstanding blasphemy law, meaning it is now legal to mock the beliefs of others, in a direct response to January’s brutal attack on the French satirical magazine Charlie Hebdo. The proposal to rush through the change was made in February by Conservative MP Anders B. Werp and Progress Party MP Jan Arild Ellingsen, who argued that the law “underpins a perception that religious expressions and symbols are entitled to a special protection”. “This is very unfortunate signal to send, and it is time that society clearly stands up for freedom of speech,” the two wrote in their proposal. 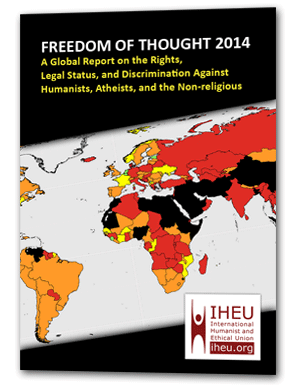 Bob Churchill, editor of the International Humanist and Ethical Union’s (IHEU) Freedom of Thought Report, comments: “We didn’t list Norway as a country having a “blasphemy” law in either the Freedom of Thought Report or in the country index for the End Blasphemy Law campaign, because of this very unusual status the law had. It had been voted down already, and the change simply had not been made formally because of delays in implementing IT systems. The decision to push through the change was attacked as “cultural suicide” by Finn Jarle Sæle, editor of the Norwegian Christian weekly, Norge IDAG.